Most experienced fighters know how to talk trash and get the attention on their upcoming fight or any fighter they wish to promote. Chael Sonnen has been doing the same. Many feel it is about promoting a fight as he has been contradicting the coach of Conor McGregor. It is about a recent issue at UFC. McGregor has refused to promote the upcoming fight with Nate Diaz. For that he has come up at the dagger’s end with the UFC. The fight is scheduled to take place on July 9th and would be part of the UFC 200 event. McGregor then states that he would pull out of the fight as the UFC is also set to pull the plug on this fight. On his behalf John Kavanagh, his coach, has been stating that his fighter would get out of the fight and has been asking the fans to support him as well. Chael Sonnen has opposed the stance taken by John Kavanagh. He stated in his podcast that, he respects coaches and that they have a distinct role in the careers of fighters. But in this case he felt that John was taking a decision on the part of his fighter which should not be his call. 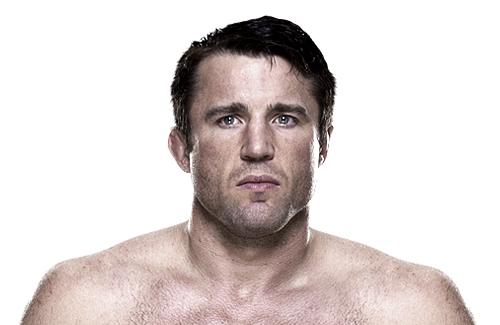 Sonnen stated that John needs to guide his fighter in the right way. It is not about money being made and hence, he should not care whether a game is not being promoted right or getting busted as he decides not to play along. May 15, 2015 . No comments. Former Ultimate Fighting Championship or UFC’s Middleweight and Light Heavyweight contender Chael Sonnen was one of the many who wanted to see Brock Lesnar make his return to the promotion. And while the former UFC Heavyweight champion renewed his contract with the World Wrestling Entertainment or WWE, the American Gangster is not closing the door on his return to the cage just now. However, he said he understands what Lesnar meant when he said that his legacy inside the Octagon was over. Sonnen, who now works as an analyst for the UFC said that he thought that it was pretty obvious, adding that he felt that Lesnar played it the best way he could have done to make it believe that he was indeed returning to fight. Lesnar, who had a 5-3 Mixed Martial Arts and 4-2 UFC record, was on the verge of becoming a free agent with his contract nearing its end. However, just before WWE’s flagship event Wrestle Mania kicked off, Lesnar announced that he had signed a new deal, effectively ending all speculation linking him with a return to the UFC. And despite the new contract, Chael Sonnen doesn’t think that there is no possibility of Lesnar ever making a comeback in the future. According to the American, UFC president Dana White enjoys a strong relationship with WWE boss Vince McMahon and just because he signed the contract, doesn’t mean he will never come to the UFC. May 6, 2015 . No comments. Dana White, the president of the Ultimate Fighting Championship or the UFC shocked the entire Mixed Martial Arts world in the last couple of months when he said that he doesn’t believe former UFC Welterweight kingpin Georges St. Pierre will ever return to the Octagon. The Canadian, however, hasn’t ruled out a return to the cage altogether. He recently sat down for an interview with a local news outlet in Quebec, his native, where he has been spending a lot of time with his family and said that Dana White can be sure that he is not coming back but that is entirely his own opinion. He mentioned that he is training regularly in order to keep his body in shape, adding that he has got bruise marks all over his body because his body gets battered easily and that is a sign that he has been training a lot.